Sir Thomas Lawrence’s famous portrait of the person who led Britain's campaign to abolish slavery and Yorkshire M.P., William Wilberforce will be exhibited in Hull, the place of his birth, for the first time as part of a major new project launched by the National Portrait Gallery, called Coming Home. 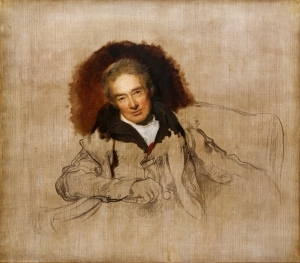 Lawrence’s unfinished portrait of Wilberforce was one of the first works acquired by the National Portrait Gallery when it was established in 1856 and was said to capture 'the intellectual power and winning sweetness of the veteran statesman'. The work will go on display in the Ferens Art Gallery in Hull in 2019. 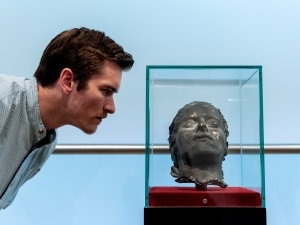 ● Tracey Emin’s 'Death Mask' goes on display in Emin’s hometown of Margate for the first time at Margate Library in partnership with Turner Contemporary. 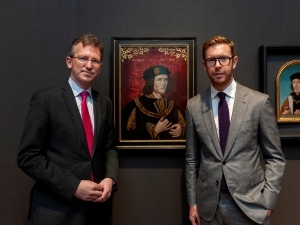 The National Portrait Gallery has been collecting portraits of men and women who have made a significant contribution to British life and history since 1856. As part of Coming Home, the Gallery will be working with local museums, galleries and other venues to help choose portraits that are special to them, providing communities across the country with the opportunity to celebrate their local heroes. The Gallery has already returned the only known surviving portrait of Charlotte, Emily and Anne Brontë together to its original home at the Brontë Parsonage Museum in Haworth. The painting is on display from 1 June until 31 August 2018 as part of the celebrations marking the 200th anniversary of Emily Brontë’s birth.